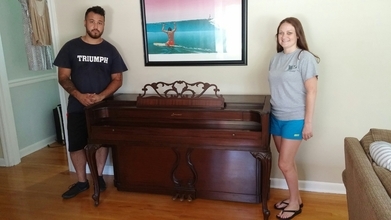 Triumph Moving & Storage can handle your piano moving needs. 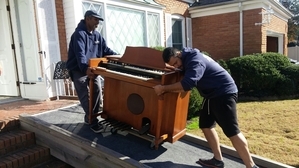 Whether it's a foot pedal organ or Grand piano, we will wrap, load and place your piano where you need it. 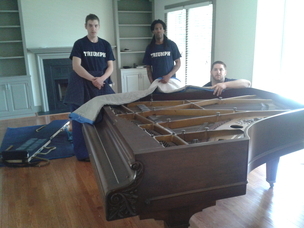 Triumph takes great care with your floors, walls and door jams while the moving of your piano is in progress. 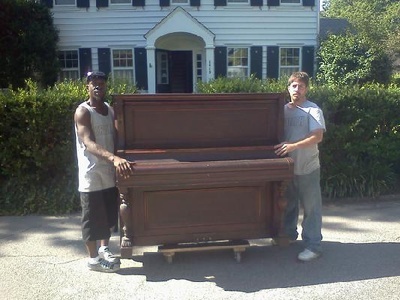 All piano parts are wrapped, stored and strapped on board our trucks safely. 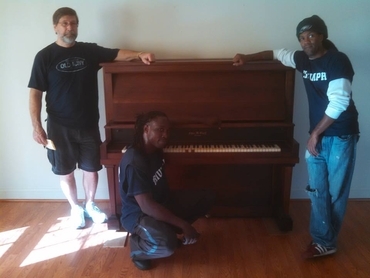 Piano moving prices start at $ 100.00. 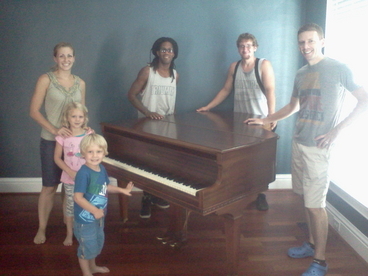 What Size is Your Piano? 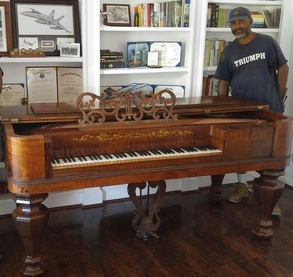 The above pianos are usually classified as WAIST, CHEST, or SHOULDER HIGH. 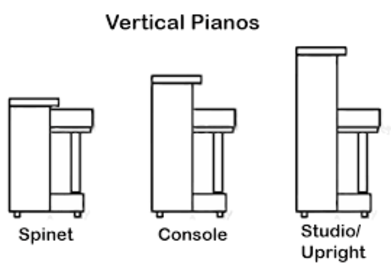 If possible, please provide how tall your piano is (in inches). 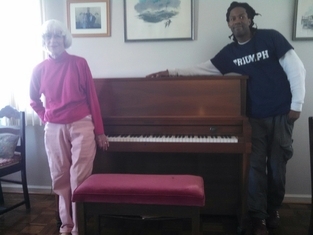 Above is a Baby Grand Piano moved for a Triumph Moving & Storage Inc. customer in Norfolk, VA! 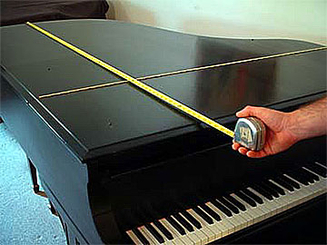 Measuring your Baby/Grand piano (as shown above) is the correct way to determine its overall size.